DUBAI, 7th April, 2019 (WAM) -- H.H. 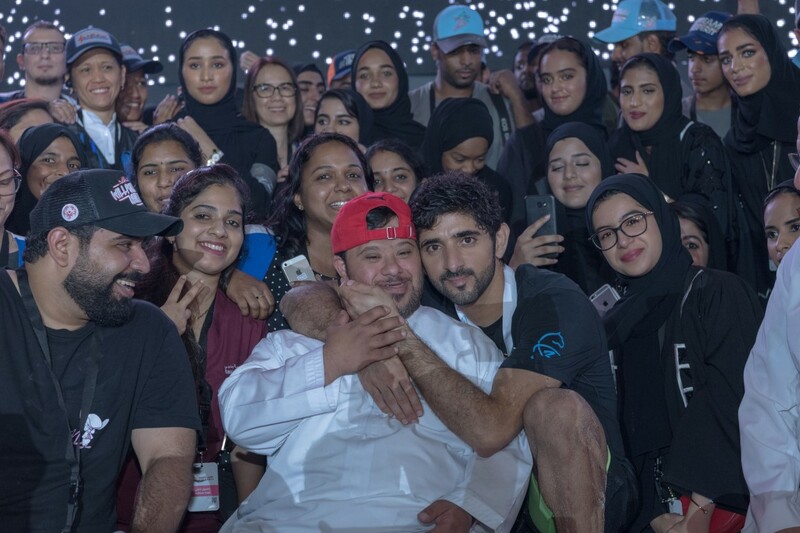 Sheikh Hamdan bin Mohammed bin Rashid Al Maktoum, Crown Prince of Dubai and Chairman of Dubai Executive Council, led F3 team to a thrilling win in the Gov-Games 2019 for the second year in a row. The Gov-Games 2019 finished today in Dubai after four days of thrilling tough competition. F3 team donated the AED2 million prize money for charity. The F3 men’s team won the games after finishing first in the Battleship obstacle course. Abu Dhabi Police team came a close second, followed by Dubai Police team. Sheikh Hamdan crowned the three winning teams. Deputy Chairwoman of Dubai Culture H.H. Sheikha Latifa bint Mohammad bin Rashid Al Maktoum crowned F3 women’s team winner of the Gov-Games 2019 women’s segment. Team DEWA was the second team to complete the course successfully followed by Dubai Airports team. Abdullah Al Basti, Secretary-General of Dubai Executive Council, congratulated Sheikh Hamdan and the winning teams. The men had to break two cement balls and find two keys to unlock the last stretch of the course, compared to the women’s one. The final stretch involved running, wading through seawater and crawling on sand wearing 20kg vests (additional heavy sandbags for men) for 800 metres towards the finish line. In the men’s segment, F3 team finished the Battleship Course in 24:07 minutes, followed by Abu Dhabi Police team in 24:57 minutes and Dubai Police team in 28:15 minutes. In the women’s segment, F3 team finished the course in 21:55 minutes, Team Dewa in 47:10 minutes followed by Dubai Airports team. 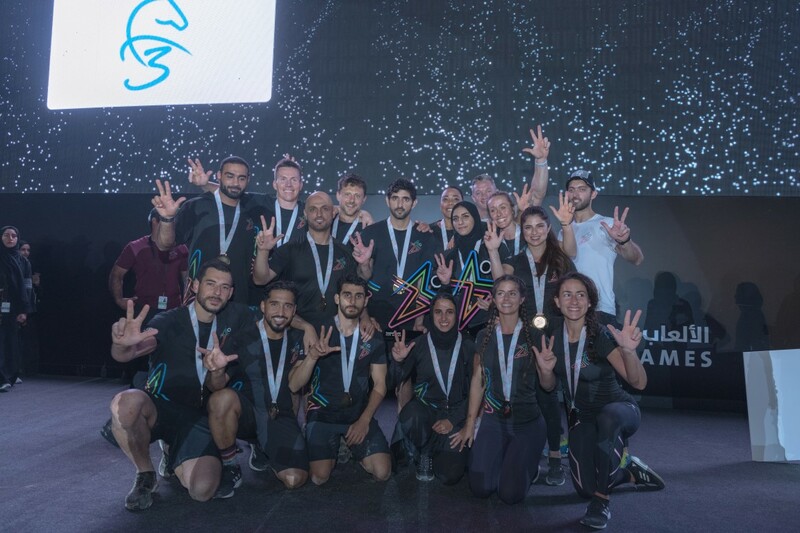 The winning teams took home AED1 million each, while runners-up received AED300,000 each and the second runners-up got AED200,000 per team. Dubai Executive Council organises the annual Gov-Games in partnership with Dubai Sports Council. Dubai Electricity and Water Authority, DEWA, Road and Transport Authority, Dubai Municipality and Ports, Customs and Free Zone Corporation sponsor the games. X Dubai, Du and Salt Restaurant support the games.